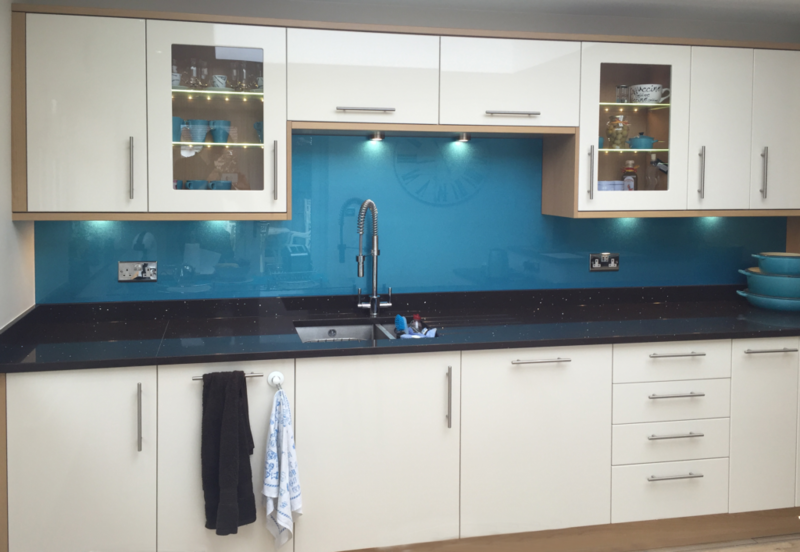 Our Glass splashback gallery shows just a small selection of our favourite Glass Splashbacks and Bathroom Panels that we have fitted over the years. This ranges from our standard colours, to bespoke colour matches, gorgeous sparkles and printed panels. 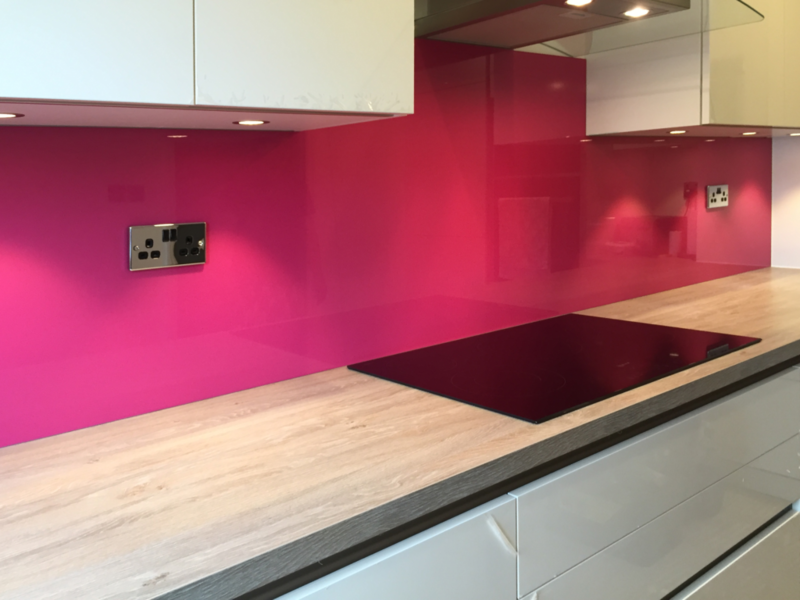 We hope that this gives you an idea of what we produce and provides you with inspiration for your own toughened glass splashbacks or panels. All of our glass is completely bespoke and comes in any size – there are no “standard sizes”, and each panel is cut to order. If a glass panel needs to be cut off square, it’s no problem and this is at no additional cost. Cut-outs for any sockets, notches and extractors come as part of the service we offer as all of our glass is cut with incredible precision by our in-house water jet cutter. Visit our Colours page to pick your perfect colour and add the finishing touch to your kitchen. We send out samples free of charge to make sure that it’s ideal for your colour scheme. If you are looking for a Printed glass panel then please visit our printed page for a huge library of images to choose from. Alternately if you have your own image that you wish to have printed onto glass then please contact us and we can discuss options for sending that to us.